Heinz Kluetmeier's image of Michael Phelps is as viral as pro sports photography gets. However, because pros and corporations are so concerned about copyright, its ability to truly go viral is curtailed. The rise of the Internet has given rise to the term "viral," which gets tossed around like a baseball on a triple play. "Viral" usually equates to more traffic, which usually equates to more money. So in that sense, we all want to attain virality on the Internet with our photos and photo activities. To gain some clarity around the issue, let's define the term. In the world of pathogens, the most successful viruses glom onto a host, and instead of killing it, they find a way to infect more people with each contact. If you cannot efficiently pass the virus from host to host, it's not viral. Ebola is deadly, but it's not a good virus because it kills its host before it can really go viral. On the Internet, we define virality by a "viral co-efficient." Specifically, if the number of people brought in by each existing user exceeds 1.0, then the site is viral because it grows linearly. If the number of new people is < 1.0, then its growth will slow down. In other words, each member has to bring in at least one new person (who brings in at least one new person) to go viral. Don't confuse a spike in traffic with virality. 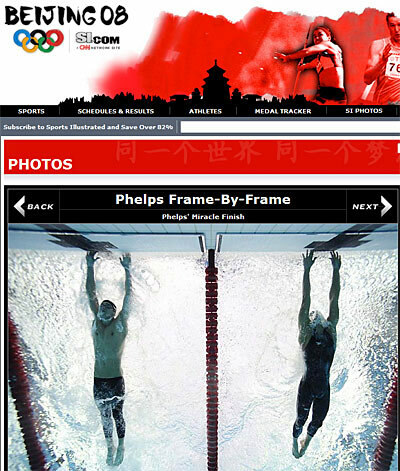 If you are featured on the homepage of SportsShooter.com, you will probably see a big spike in your profile page views. The same would be true if you wrote a blog posting that was picked up by PDN, or better yet, a site sharing service like DIGG. But it's unlikely that a spike in traffic will translate into sustained traffic. You might have your 15 minutes of fame, and it might lead to another job, but it's not viral. Building traffic takes a lot of planning, effort and time. Plus, you're probably not updating frequently enough to sustain any increase in traffic. Professional photographers need to get paid for their work. So there is a natural (and in some cases, warranted) fear about an image being distributed without compensation. If you took the picture of the Pitt-Jolie babies, then you don't want it out there until you've secured an exclusive license from People. This is a totally legitimate justification for exclusive and timely photos. But few of us have those types of photos, and more importantly, few of us have wide enough distribution of our photos to affect the price of an image. Exposure to an image does not mean a lower value. We've all seen Vincent Laforet's Bryant Park photo (http://www.photoshelter.com/c/laforet), and yet, it still sells for hundreds to thousands of dollars per print. Distribution makes it more popular, not less so. Even with art photography, you need a certain audience size to justify high prices. 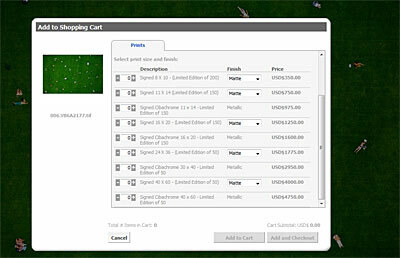 Sure, a glut of prints will depress the price, but on the other hand, there is no market for a photo that cannot be seen. Laforet's image has received lots of exposure over the years, but it doesn't prevent him from selling prints for thousands of dollars. Exposure increases the likelihood that someone will buy a print from him. I'm trying to think of the greatest sports photo from this year, and I'd venture to guess that Heinz Kluetmeier & Jeff Kavanaugh's image of Michael Phelps reaching for the wall at the Beijing Olympics might be it. This photo was shown prominently on TV, in print and on the Internet. I'd bet that people saw the image, and then passed it on to a friend. But the period of accelerating distribution was probably brief - a few days - and once it was over, it was over. There wasn't another sports photo that took it place. Rather, appreciation of sports photos reverted back to the norm. Similarly, when I saw pictures from James Nachtwey's XDR-TB project, I didn't forward it to anyone. I thought the work was stellar and moving like most of his photos, but there was nothing that made me feel like I needed to pass it along. I'd venture to say that most of us felt that way. Andrew Dolph started a thread on SportsShooter.com, and after 17 posts, it was quickly buried. I care about photography, and I care about public health issues, but man, I haven't checked my email in 12 minutes, and Project Runway is on. You get my point. Virality requires social interaction, which breeds more interaction. If you're a Facebook user, and I throw a burger at you, you throw it back. Then you say, "That was stupid and fun," so you throw it to someone else. The next day, you make me a zombie, and the process continues. Millions of people turning each other into zombies on Facebook, and, well, if you've seen 28 Days, you know how it ends (or doesn't end). Virality ends at a point of saturation, but that's perfectly acceptable if you attain a new baseline of activity. Unfortunately, looking at a professional photo is simply not viral. It is a solitary endeavor. It is not socially interactive. Or is it? Viral photography can occur. But for the time being, it seems to be restricted to LOLCats (http://icanhascheezburger.com). Yes, those funny pictures of cats with humorous and grammatically incorrect captions overlaid in huge type. How viral is it? It gave rise to LOL Chairs. Chairs and cats. But we're not selling LOLCats so let's talk about your photography. If you want to be viral, you need to change your mode of thinking. You need to adopt a strategy that will maximize your presence on the Internet. Posting your good photos on many different websites with high traffic is one way to accomplish this. But an even better way is to allow other people help you spread your photos around like a YouTube video that gets embedded in other places. LOLcats images illustrate what happens when your goal is distribution, not copyright control. 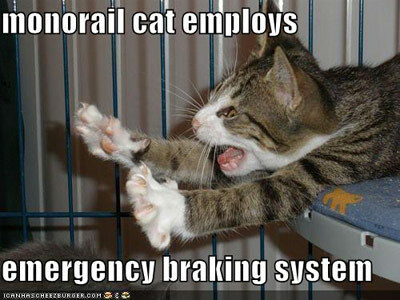 LOLcats are ubiquitous and there's no sign of that this phenomenon is slowing. Instead of being hyper-concerned about copyright violations that might arise by simply having your photos out there, take advantage of the Internet's remarkable distribution capabilities. If people are going to steal photos anyway, you should make it easier for them to do so, while having a way for viewers to easily get back to your website with an embedded link. At that point, it's not theft, it's free direct marketing. A user who pulls your images and embeds them on your website is reaching a different audience than your own, which means an extended audience for your images. As long as it's really easy to get back to your website, you're truly creating some virality. Getting other people to do marketing work for you without even realizing it - now that's viral and smart. More eyeballs means a larger funnel of potential buyers. You want a larger funnel because your conversion rate will typically stay unchanged. One hundred people come to your website, ten people browse your gallery, two people add an image to a shopping cart, and one person actually enters his credit card information (We can get that analytical nowadays for free using tools like Google Analytics). So if you know you have a 1% conversion rate (conversion being any activity that you define), then the larger your funnel, the more absolute conversions you will receive. This is why your marketing efforts need to be focused around activities that push more people to your photos. Taking a photograph is getting easier with new technology, but being commercially successful requires marketing creativity. So catch a cold, and go viral.